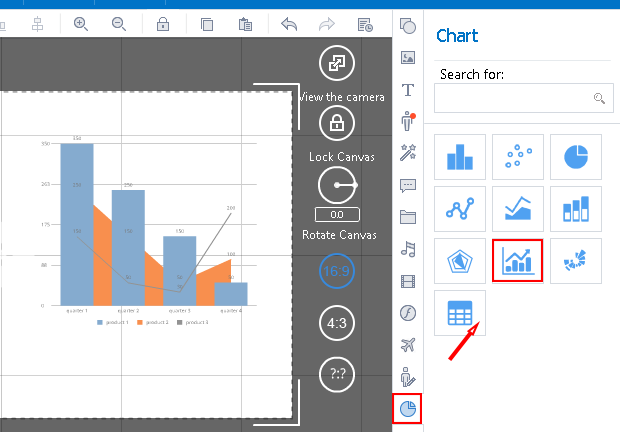 Click the "Chart" icon--select one chart in the library. Click the "Chart" icon, type the chart type in the search bar, and then click the chart to add it. 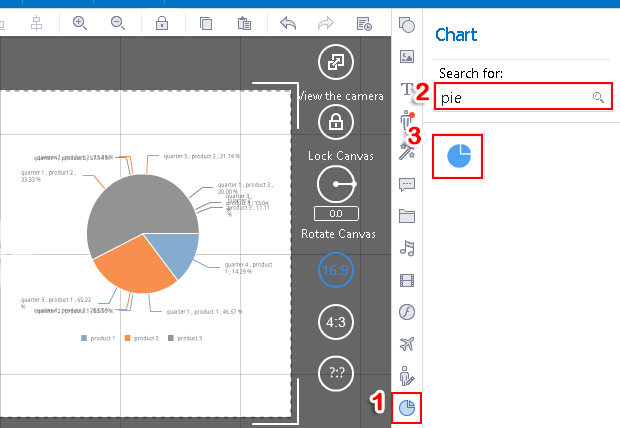 After adding the chart to the video presentation, you can follow steps below to edit the chart information. 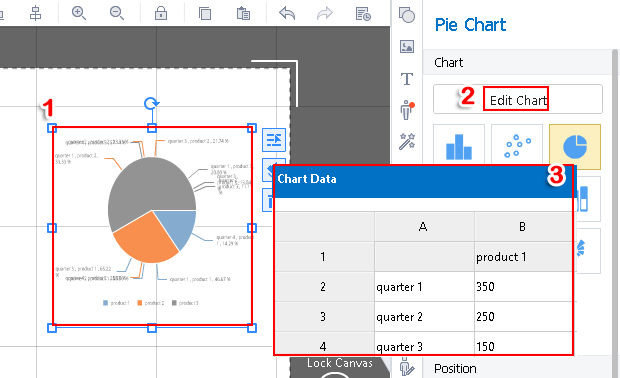 Select the chart that you have added, click “Edit Chart”,and then you will see a window pop up. 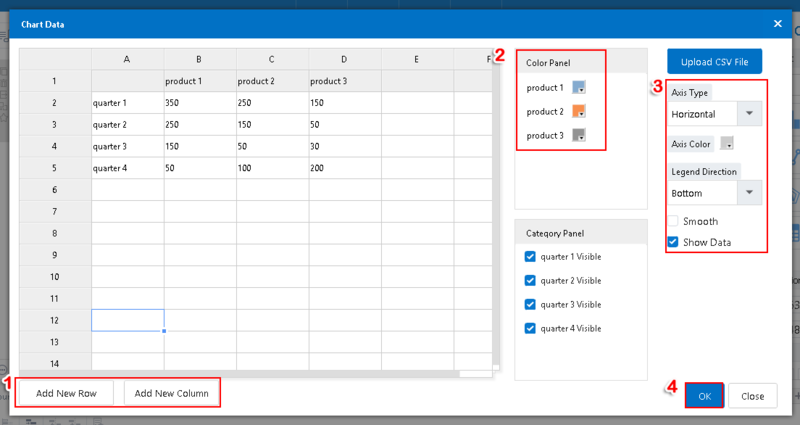 In this window,you can add new rows and column, customize color panel, axis type,axis color and so on. After making these editing, click “OK” to apply them.